For the cat lovers! A herd of miniature paintings featuring cats. All are ATC or ACEO* sized. 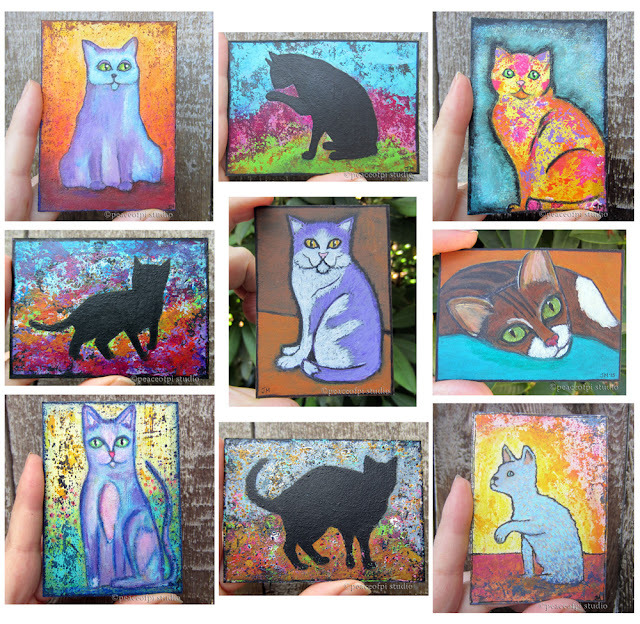 Some cats are seen in silhouette and others are painted in a folk art style. Purple features heavily in this collection, with three of the cats sporting a lilac hue, while three black cats stand in stark contrast to their colourful backgrounds. Here's to plenty of feline variety.